Known as “The Blues Professor,” Erwin Helfer is a Chicago master of blues and boogie-woogie piano. He performs two shows this Saturday night (8:15 p.m. and 11 p.m.) at First Night Evanston. Other players at the Festival include Corky Siegel, Howard Levy and the Second City Improv All Stars. Helfer turned 80 years old in January 2016 and has hardly slowed down. Born and raised in the South Shore neighborhood, he moved to Glencoe as a teenager and attended New Trier in the 1950s. He befriended an older generation of blues and jazz masters, including Brother Montgomery and Jimmy Yancey and recorded and produced an album of unsung piano players. Helfer also lived and studied in New Orleans, immersing himself in the city’s storied music scene. The block he has lived on since 1969 was designated Honorary Erwin Helfer Street in 2006. And Helfer also still gives piano lessons from his home near Lincoln Park. Video: Erwin Helfer performs and teaches at his Lincoln Park home in 2012. Helfer joins in conversation and performance. 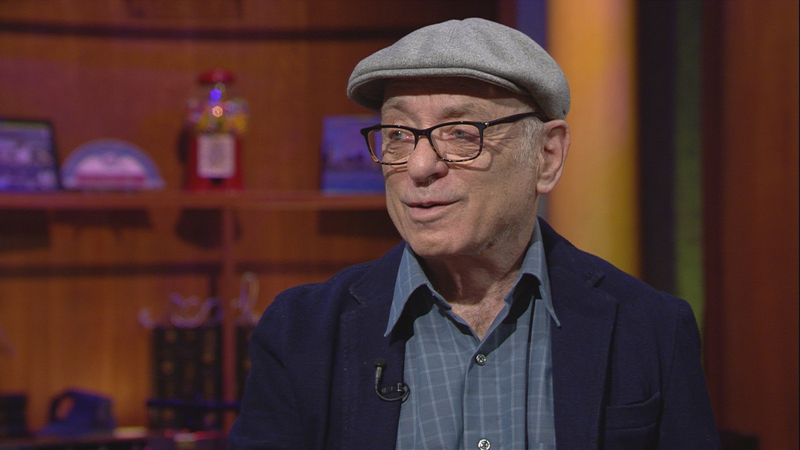 Video: Erwin Helfer performs “Stella” in the Chicago Tonight studio. Dec. 22: The singer-songwriter joins us in discussion and performance of two songs that could win Grammy Awards in February. June 8: The Chicago Blues Festival kicks off Friday with a tribute to Alligator Records. Founder Bruce Iglauer and musician Toronzo Cannon reflect on the significance of the music they love.